As the Entanglement script landed on the desk of producer/director Jason James (That Burning Feeling), he instantaneously developed an affinity for the material, due to the lead character’s journey in the quest to discover who we are and where we come from. Entanglement examines the thought process of clinically depressed Ben as he discovers in his thirties that his parents had planned to adopt a little girl named Hanna when he was young, so he would have a sister. For whatever reason, the adoption never came to fruition, and now as an adult, Ben becomes obsessed with the idea of searching for who he deems his long-lost sibling. Director Jason James behind the scenes. Photo courtesy of Dark Star Pictures. The film essentially revolves around three characters who are recognizable from various television series, being Thomas Middleditch (“Silicon Valley”) as Ben, Jess Weixler (“The Good Wife”) as Hanna, and Diana Bang (“Bates Motel”) playing Ben’s supportive friend and neighbor, Tabby. The director randomly found Middleditch crying, as he was filtering through taped interviews from the Sundance Film Festival and immediately wanted to cast him for the emotional role of Ben. 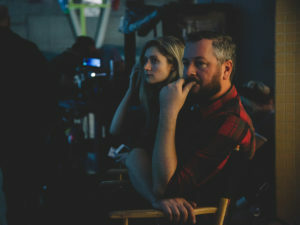 Initially, Jess Weixler was not interested in doing the film, until she was swayed during a coffee meeting with James. The chemistry between Middleditch and Weixler is as natural as two kids happily playing in a park. It is vital to nail the right tone for this alternative romantic comedy, because once Ben finds Hanna, he thinks he might be falling in love with her. “The tone oscillates between drama and comedy, because you have a guy killing himself with these awkward quirky things happening. We have these really dramatic beats to set up the comedy beats; to bounce between those two worlds is tricky and so it’s playing with levels, tone, and performance,” explained the director. Thomas Middleditch as Ben (L.) and Diana Bang as Tabby (R.). Photo from Dark Star Pictures. Underwater photography presents its own complications as well, as some scenes were shot in a swimming pool. “I needed about 16 shots. We have the stunt people, the safety divers, and there’s a speaker at the bottom of the pool where I can talk to the actors. It took two hours to get the first shot and I realized I might not make it through my shot list. Immediately, I started talking into the microphone telling the actors to swim here, dive there, and come towards us. We just kept shooting and rolling on these little pieces and luckily really beautiful stuff came out of it,” confessed the director. 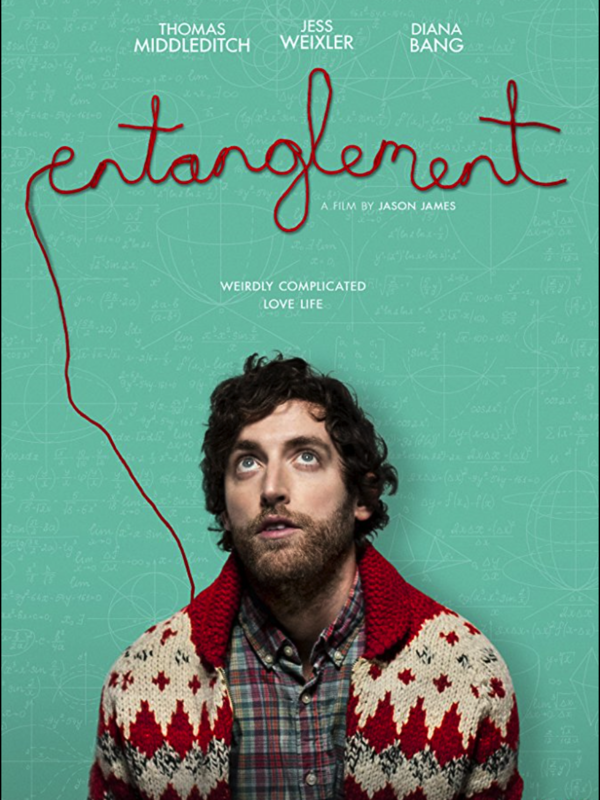 Entanglement is now available On Demand/Digital HD. The DVD release date is July 2018.